[SOLUTION] Fake Android Phone Unable to Register IMEI to Network / Change IMEI (Root Required) – kifemachine.com // its just kife. If you have stumbled on this page you have most likely ended up with some sort of fake android device, in my case this was the Samsung Note 4. You think fine, no problem you will rock that fake note 4 and own up to the mistake, unfortunately for you it can not connect to the network and attempted calls are met with a unable to connect to network notification. 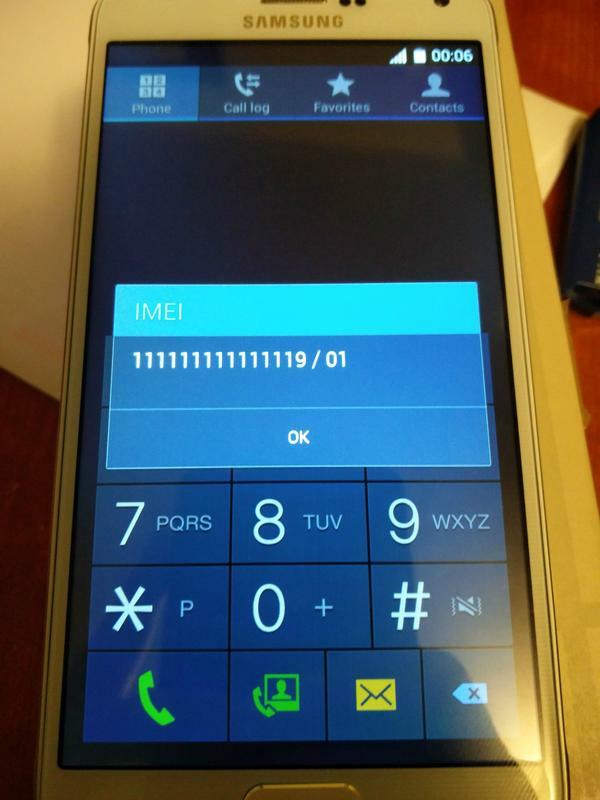 checked the sim card, rebooted device, toggled airplane mode and mobile network numerous times to no avail you discover that the IMEI reads “11111111111119/01” and it hits you like a bag of bricks this note 4 is a dud. Digging a little further I discovered the device had some weird chinese recovery mode but no download mode as other websites had suggested. 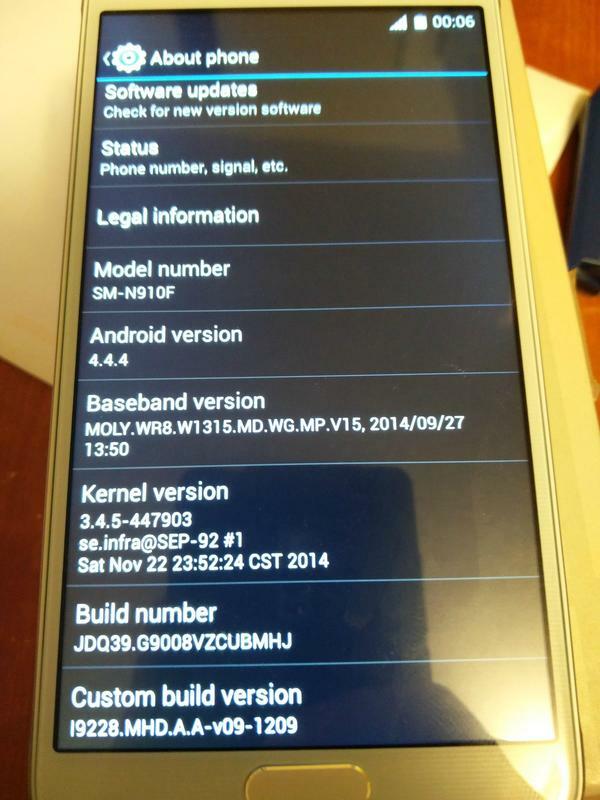 Despite being a fake device it was running 100% real android. 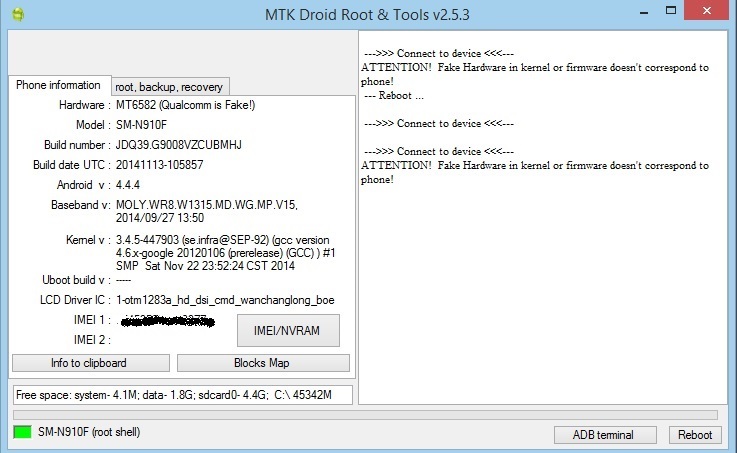 Being an android meant that there could be a possibility of root and with root access changing the software IMEI could be achieved. 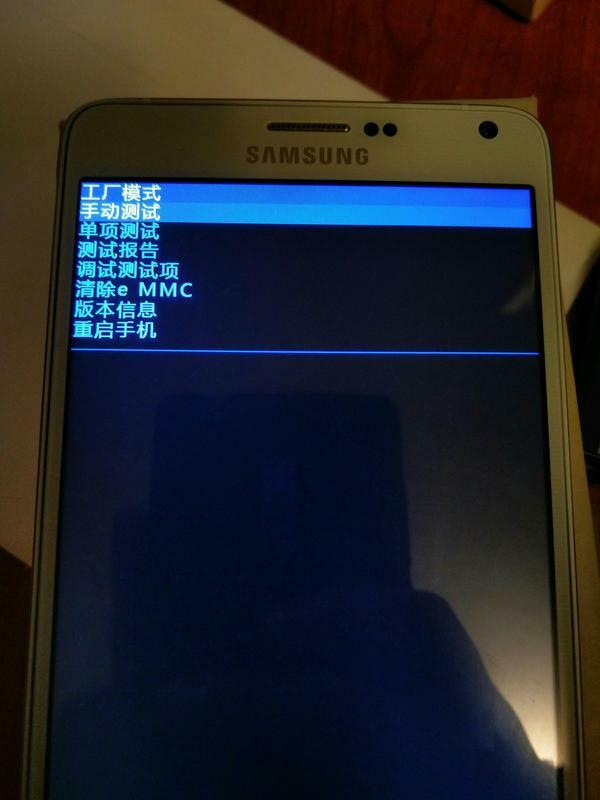 The reason why the note 4 is unable to connect or register to the network is because the IMEI is clearly fake and is unable to register itself on the wireless network. Simple, root the device & change the IMEI to reflect the IMEI printed on the back of the device. Below are steps that will allow you to get your fake android device to register on your carriers network. Note that the quality of these fakes varies and is dependent on the chipset of the device. There are reports of fake devices not even having an actual working antenna and other malfunctions be it software or hardware battery related so YMMV. DISCLAIMER: Changing of IMEI is illegal in some countries, and we will not be held responsible for any consequences that befall the changer. On your device goto Settings > About Device (or where ever shows your “Build number”) keep tapping on build number till you have enabled developer mode. Under Developer Mode enable usb debugging. 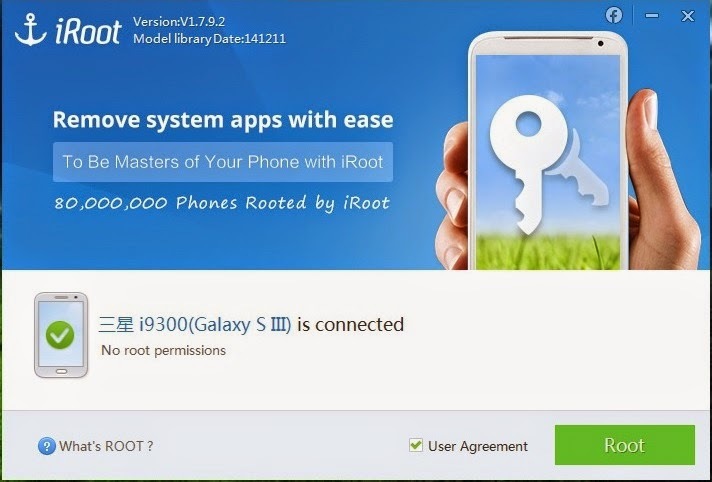 Connect device to PC & Root the device Download iRoot [here] – it should be able to automatically detect your device, once detected you will see the device name “.. is connected” and the green root ready to go. Click the root button and wait 1-2 minutes and you will be greeted with a congratulations your device is now rooted. 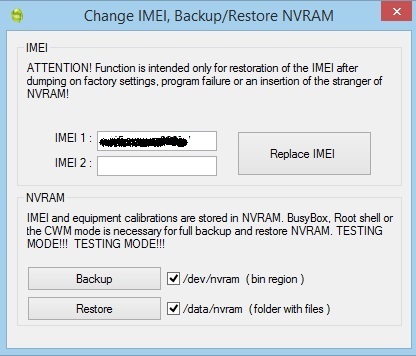 Click on IMEI/NVRAM – input the IMEI number on the back of your device into this box Click on “Replace IMEI” Press “Yes” to accept changes; reboot your device and check again your IMEI should now read the new IMEI. *NOTE: this is not a permanent fix as a factory reset will clear out the changes you will have to change the IMEI when you need to wipe the device. Shout out to @tornado92 @ xda-developers, without your help this wouldn’t be possible.